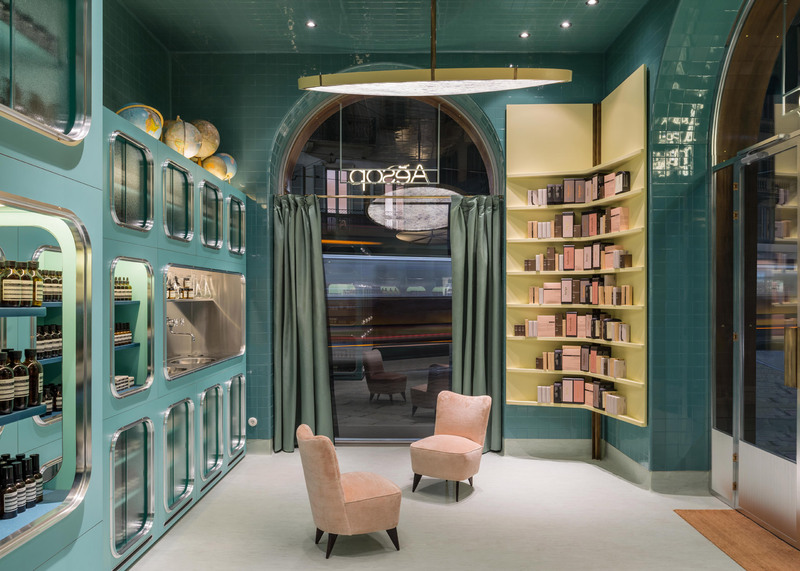 Green-coloured subway tiles are paired with lemon-yellow shelving inside skincare brand Aesop's second Milan branch, recently completed by locally based Dimore Studio (+ slideshow). 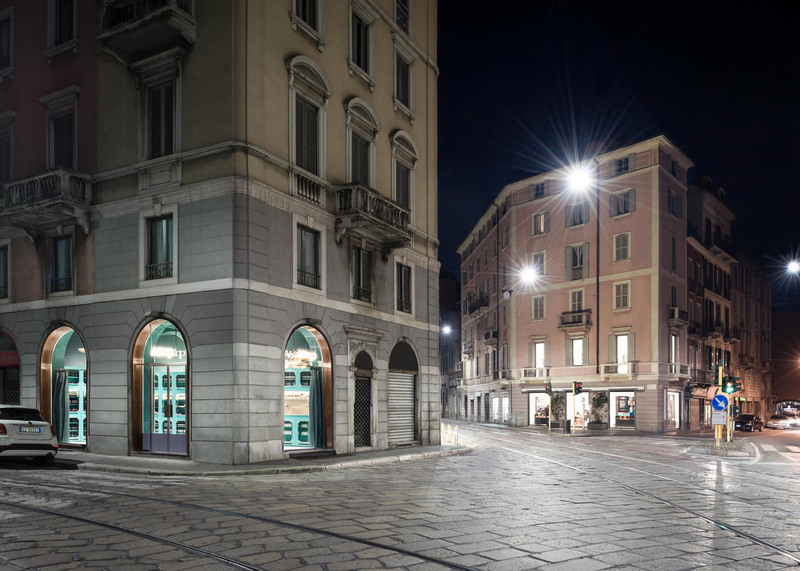 The store is located on Corso Magenta, across the road from a 200-year-old bakery. Dimore Studio based their design on pantries found inside early 20th-century villas, and covered the walls in materials typical of these spaces. 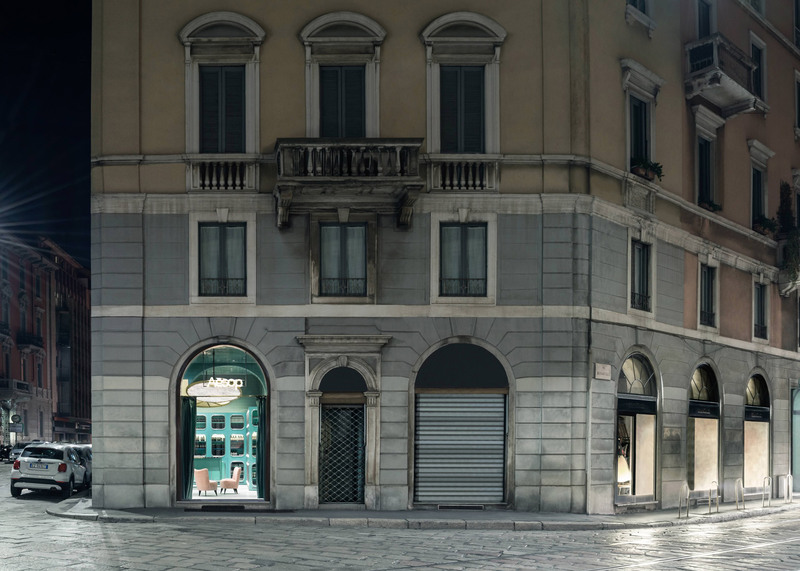 "The new 35-square-metre space is both a whimsical essay on materials typically employed in butlers' pantries of 1930s Italian villas and a contemporary version of the small neighbourhood bottegas still common in this area," said the designers. "Nuanced greens, yellows and pinks, muted as if to cover every surface in talcum powder, herald the trip back in time," they added. 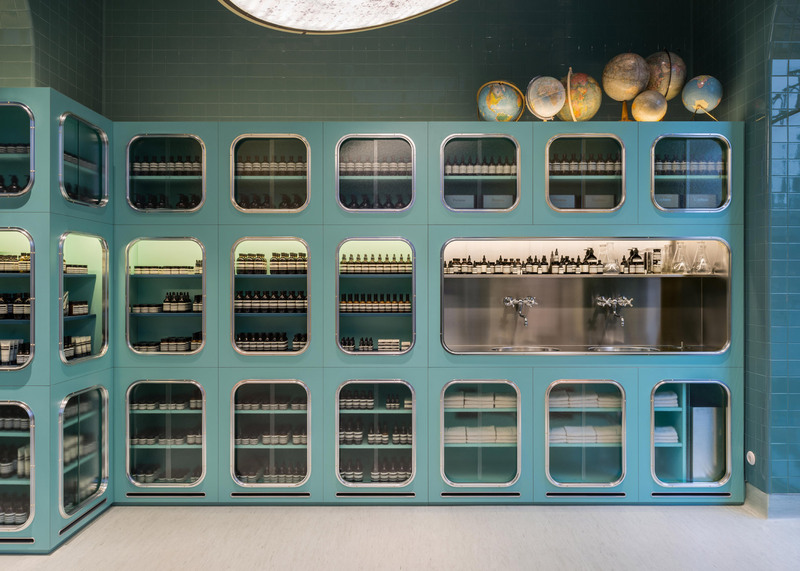 The individual interiors designed for each Aesop store are often influenced by their surroundings. Dennis Paphitis, founder of the skincare brand, told Dezeen that "architecturally our criteria is always to try and work with what is already there and to weave ourselves into the core and fabric of the street, rather than to impose what we were doing." Display cabinets have the same green tone, and feature rounded window frames that are intended to reference an early 20th-century aesthetic. Light grey linoleum covers the floor across the entire store. Two mid-century velvet-upholstered chairs are placed close to the window, while a stainless steel demonstration sink is integrated into the cabinets. Aesop was founded by Paphitis in Melbourne in 1987. 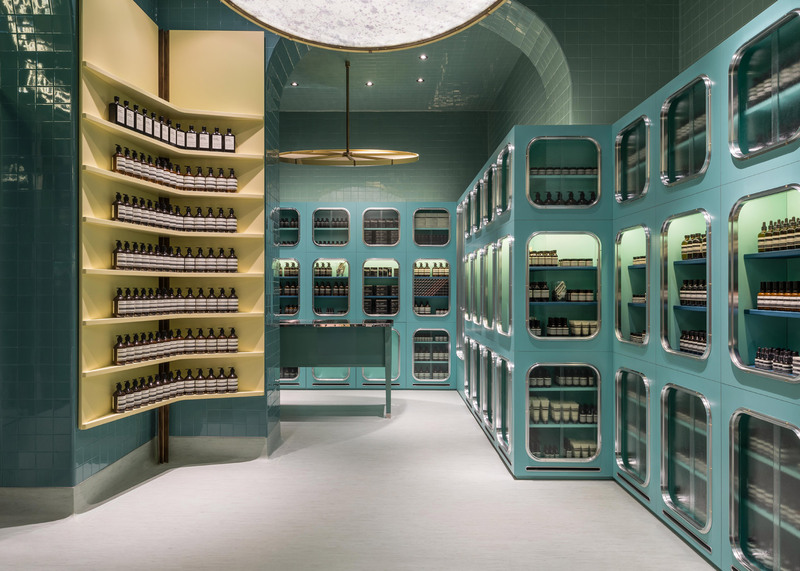 Designers including Snøhetta, JamesPlumb and Torafu Architects have all contributed to the skincare brand's fast-growing portfolio of over 100 shops interiors. Most recently, Swedish studio In Praise of Shadows created the interior for the brand's second Stockholm store, pairing undulating wooden walls with brass fixtures.